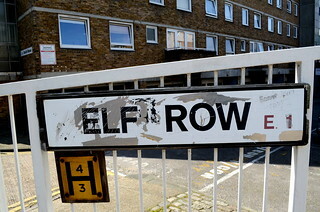 The elves got into an argument. Which they settled with a rugby match. Score: 4 - 3. It's not a very high score, but they are very small. It must be very difficult for them to convert a try without the use of magic. Or perhaps I misinterpreted the second sign and they were playing water polo or something?